Two Clitheroe Rotarians honoured with Paul Harris Fellowships. 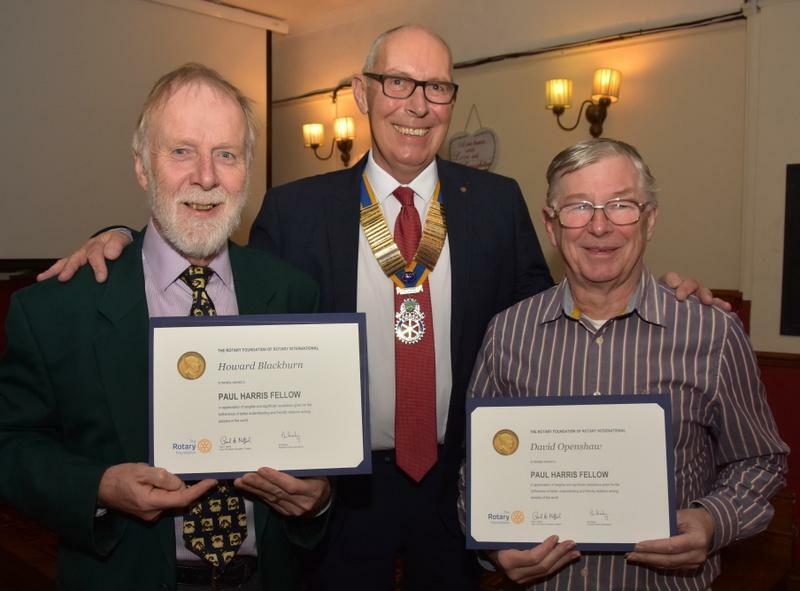 President Frank had the honour of presenting Rotarians Howard Blackburn and David Openshaw with #Paul Harris Fellowships at today's Club meeting. Both David and Howard are past Presidents and have held various committee chair posts over the years. Howard is currently International Chairman and is spearheading #Mary's Meals and #Shelterbox. David is a Director and the organiser for #Life Education in Lancashire and is always looking for volunteer drivers to help move the mobile education units around the County. The Club members congratulated them both on being awarded the highest honour within #Rotary.